I found this desk and chair set for $40 and thought it would look cute in the attic/loft area for the boys. 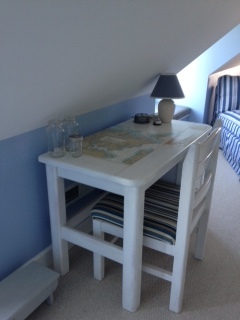 I repainted it with a high gloss white paint and then decoupaged some maps to the top of the desk. 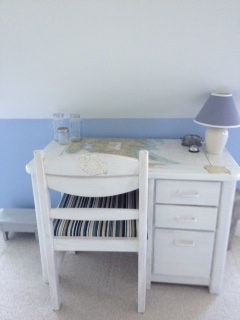 After I painted the chair, I reupholstered the chair in the blue and beige stripe that I picked up at JoAnn Fabric. 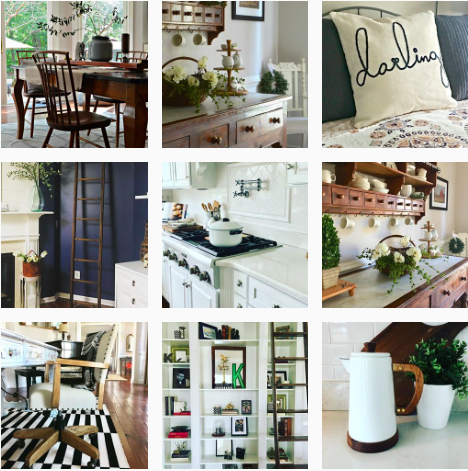 You can find the desk in one of my favorite rooms here.